It has been awhile since I have posted anything, as school is consuming most of my time. I couldn’t resist joining Writer’s Quote Wednesday today, as I have been pondering the concept captured in this quote a lot lately. I am taking an Ethics class this semester which has turned out to be my favorite class for a variety of reasons, the least of which is that I am faced with ethical decisions on a regular basis in my job. The top reason, and most important, is that I am starting to realize how easy it is to judge others for their actions, while rationalizing and making excuses for my own. I have become increasingly aware of an ongoing dialogue in my head that puts the people and situations I encounter in real life or in the news and media into two categories of either being right or wrong, good or bad. This can be exhausting and leaves me feeling quite disheartened by the end of the day. I’ve always wondered how nurses and doctors could have participated in activities that seemed so blatantly wrong like the deception that occurred in the Tuskegee Study, or the T4 program and other major atrocities that happened during Hitler’s regime. Upon closer examination of their reasons, it becomes clearer how we all walk a fine line when rationalizing our own choices. Whether we are afraid to stand up to someone for fear of reprisal, we are simply earning a living, or we think are supporting some noble cause, it is often easier to take the path of least resistance. I can think of times in my life when I have shut off my emotions in order to go against my own morals, and I see examples of this phenomenon often in everyday life. I’ve come to the conclusion that I can’t change the actions of anyone else, but I can certainly become more aware of how I make my own choices and what I am putting out into the universe. I will never be perfect, as that is an elusive term, but I can always strive to do better. Happy New Year! Here is my first Writer’s Quote Wednesday post of the year. My friend and I were lamenting about how we set this great intention for the New Year to be less judgmental, quickly realizing that no sooner than we had set the intention, we were already breaking it. Much like going on a diet, the more we tried not to judge, the harder it was to stop. So I’ve decided to take a different approach now, a softer, more compassionate approach, by recognizing that this activity must be serving some purpose in my life. If recognizing this part of myself is the first step to changing the behavior, then perhaps I can slowly replace it with something more kindhearted. Being more conscious of when I am engaging in this one-dimensional cerebration may lead to some greater insights into myself and can be a good indicator about how I am feeling about myself. Being judgmental of others is often the result of feeling bad about myself and can ultimately make me feel worse. If I examine my judgments more closely, I realize there is some momentary payback that is satisfying and possibly even comforting. Lamenting about someone to my friend can be a way to blow off steam and work through my petty grievances without creating unnecessary conflicts with others. When I am dealing with more serious concerns, it can help me to put a little space between myself and the person I am judging in order to think things through more carefully. In the latter scenario, I can run the risk of increasing my frustrations, but most of the time it seems to have the opposite effect, allowing me time to examine my own part in the transaction more clearly. I haven’t abandoned my quest to be less judgmental, but I am realizing it may be a life-long endeavor to figure out how to manage this part of my personality. There are plenty of good reasons for me to keep on striving to improve. In its most innocent form, it can be entertaining, and in its worst form, it can be quite destructive and toxic. We live in a society that seems to revel in being judgmental, and we are constantly seeing posts on social media as well as news and television programs that are all about tearing people down. I don’t want to get caught up in that kind of negativity, so all I can do is to start on a personal level. When I am having a particularly difficult time, I utilize an excellent tool from the Work by Byron Katie, called the Judge Your Neighbor work sheet. The goal is not to self-censor but to put my judgmental thoughts down on paper and then examine them more closely. I have found this tool to be extremely helpful in identifying how to make peace with my most troubling thoughts. I would love to hear how others deal with this aspect of their personality. Do you find yourself judging frequently? Any good tips? This post will conclude the first part of my series called A Day in the Life which I started at the beginning of the summer. Writing these stories about life growing up with a mom who had paranoid schizophrenia has been an enlightening experience for me and I will occasionally write additional posts throughout the upcoming year. Next summer when I have more free time, I hope to go back to writing regular posts in the series. As I’ve embarked on this expedition, unraveling my memories, trying to connect the parts that make sense with the parts that have become fuzzy and obscure over the past few decades, I have gained a profusion of insight into myself, our family dynamics, and most importantly, a better understanding of the woman who inspired these stories, my mother. Despite my tumultuous relationship with my mom, I have never been able to hang onto any bit of anger towards her. How could I be angry at someone who dealt with such an intrusive illness; one that impacted every aspect of her life even as she tried to manage a household and raise four children? How could I be angry at someone who had to spend months of her life in an institution that was little more than a glorified prison, when what she really deserved was good medical care? I am angry though. I am very angry at the way people who have serious mental illnesses have been treated over the years and continue to be treated even now. Although people with mental illnesses are more likely to be victims of crime than they are to commit violent crimes, still the media latches onto stereotypes that paint them as dangerous individuals, and as one of my earlier posts illustrates, fear of individuals with mental illness abounds. Still, there are large numbers of people with mental illnesses who are homeless or in prisons for committing minor crimes. Many have been harmed by law enforcement officials who lack the knowledge or skills to deal with a crisis. Public policies about mental health care are negatively impacted by false perceptions, and are still greatly lacking. Rather than getting the treatment they deserve, mentally ill individuals are often left isolated, ostracized, and too ashamed to seek help. When they do find the courage to seek help, they may be turned away or forced to wait for much-needed treatment. Can you imagine having to wait that long for treatment for diabetes or congestive heart failure? A mental health crisis is just as serious and can just as easily lead to the unnecessary loss of life. On a more basic level, there is still a huge stigma that goes along with admitting one’s mental illness. I was too afraid to even tell anyone about my mom, for fear that I too would be stigmatized. Indeed, on those occasions when I did tell people, I often wished I hadn’t because of insensitive remarks. I was fortunate to grow up in a middle class home with a father who was able to provide for his family and take care of my mom despite the many obstacles that were thrown our way. Many others are much less fortunate and forced to live on the fringes of society, all because they have an illness. This has to change. 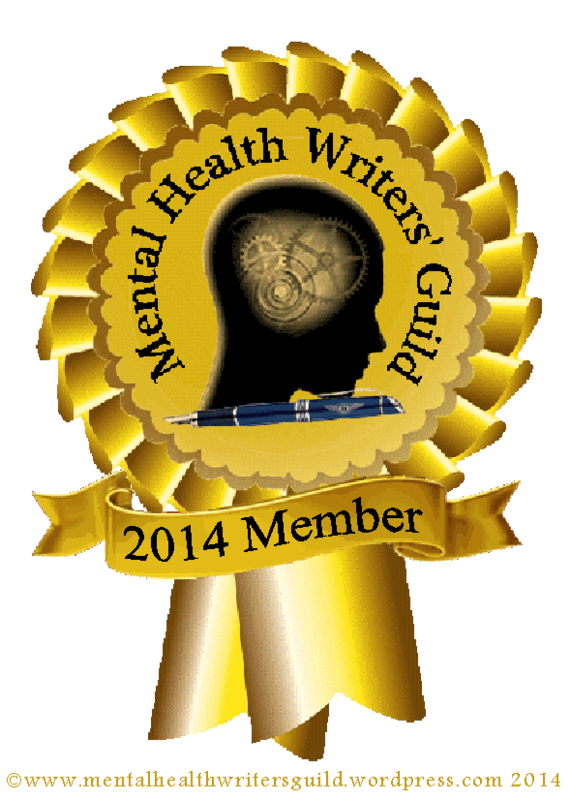 I have had the pleasure of getting to know many wonderful bloggers who are sharing their personal experiences with mental illness. Their voices inspire me to keep the conversation going, even when it gets uncomfortable and change seems impossible. I know we can make a difference. Day 2 assignment: audit your brand — look at all the ways you communicate information about your blog to make sure they’re consistent and focused. My blog is dedicated to my mom, Shirley, who had paranoid schizophrenia and passed away twenty years ago. I have been trying to figure out the best way to portray “Shirley’s Heaven”. The intent of my blog is to raise awareness about a broad range of topics related to mental health, and to be a strong advocate for changing the way society treats people with these illnesses. By telling my mom’s story, I am acknowledging the struggles she encountered because of her illness and also the times she found peace through her gardening and being outside in nature. When I remember my mom now, I like to picture her sitting on a deck surrounded by trees and flowers, on a bright sunny day, in her heaven. I am still searching for an image that can portray that sense of hope and peace, like the one above. Day 3 assignment: make sure your site is mobile-friendly, and familiarize yourself with the features of responsive design. As far as I can tell, my site is mobile-friendly. I will need to do a little more research into the responsive design and how that works. So much to learn! What would you like people to know about mental illness? Question: If there was one thing you could tell people about your experience with mental illness, either in a family member, friend, or yourself, what would it be? I have been thinking about this question a lot, especially since for so many years I kept silent for fear of being stigmatized and judged. My experience with mental illness is far-reaching, spanning three generations of my family, and also from connecting with many people who have had mental illness over the years. When I told people my mom passed away from cancer, nobody ever asked me that question. So the first thing I would like to tell people is this: When I talk about my mom’s mental illness, please respond with the same compassion and respect that you would when I talk about her having cancer. 2) I had an eating disorder, anxiety, and depression. I have many close friends who know this about me, and whenever I have told people I find that many of them open up about their own personal experiences. Still, there are those who are not quite so sensitive. So I would like to make a request. Stop perpetuating the problem by saying, “I wish I had an eating disorder, I could stand to lose some weight.” Stop talking about dieting and what people look like all the time, and start focusing on what is inside. 3) It was heartbreaking when my daughter developed an eating disorder and had a couple of episodes of major depression that landed her in the hospital. On one of those occasions I took a leave from work to be with her for 7 weeks. My good friends at work knew about it and were extremely supportive and caring, and that meant the world to me. However, in an effort to protect my daughter’s privacy, many other people didn’t know what was going on. In retrospect, I wish I had been more open with everyone. It was hard coming back as if nothing had happened. Especially knowing the kind of support people had given to other co-workers when their children had been hospitalized or come down with an illness that wasn’t mental in nature. It was sad that I felt the need to keep her illness a secret, especially when it became life-threatening. So in the future, I want people to know that when my child has a mental illness, we need the support, cards, flowers, and casseroles the same way that someone whose child has any other illness does. I do not blame anyone for their innocent responses, as they are rooted in a lack of understanding. And why would people respond in any other way if I, myself, am not comfortable being honest about what is going on. The only way these misconceptions can change is for any and all of us who have had experience with a mental illness to speak up about it, without any shame. So now it is your turn – what would you like to tell people? I came across this article and thought it was worth pondering. I don’t know about whether Facebook stalking causes eating disorders, as there are many factors that contribute to whether someone develops one. I do believe there is at least a correlation with social media or any type of media and an unrealistic quest for the “perfect” body. Just when we’ve starting to make some small progress in the way real women are represented in fashion magazines, there’s another medium making females question the way they look: Facebook. You might think that an evening scroll through your feed is harmless, but a new study says Facebook stalking could be just as damaging to your self image as seeing Photoshopped images in fashion magazines. Yep, researchers have revealed some pretty sinister side-effects of checking out your friends’ vacation snaps and outfit pics: Self-objectification, dissatisfaction with your body, and even eating disorders. The restaurant was bustling with the dinner crowd, and the noise level was rising a decibel at a time with each new arrival. Servers were rushing around with arms loaded down with steaming hot steak and seafood platters. Laughter could be heard coming from a large party of men at the bar, dressed in brightly colored polo shirts and neatly ironed khaki pants. It was hard to hear what my friend was saying over the noise, but suddenly I became aware of voices rising from the booth next to us. I hushed my friend, who was in mid sentence. She gave me a puzzled look and then picked up her iPhone to respond to the ding that had just alerted her of a text message. “So what is the big deal?” The woman said raising her voice. She looked and sounded like Fran Drescher. “What do you mean what is the big deal, how would you like it if someone called you ‘psycho’?” The man said with an air of annoyance. I diverted my eyes and continued to listen. “Well then…I am glad we cleared that up!” The man replied, standing up. He threw his money on the table and walked away. I could hear the cold, awkward silence that followed, despite the dishes clanking and the carefree laughter of the men in the bar. I wanted to go over to Fran’s table and tell her about my mom, who had just been hospitalized for schizophrenia. I wanted to tell her about the years of teasing and cruel remarks she had endured from people who misunderstood her illness, and how that impacted her. I wanted to say a lot of things and then walk out with the man, but instead I turned to my friend and smiled weakly, as she showed me the picture of her friend’s adorable new puppy.